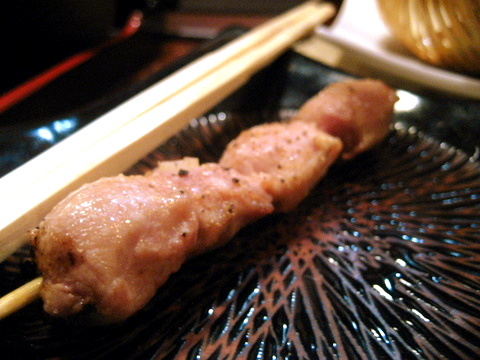 Yakitori Totto is supposedly the best Yakitori place in New York. 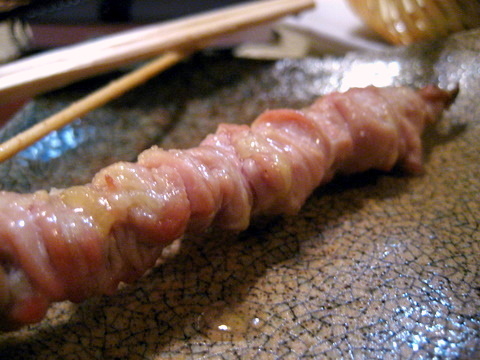 If you Google yakitori the fifth entry from the top is New York Magazine's review of the restaurant. Getting a seat can be tricky, they only take reservations until 7:00 after that there is a wait list. Walk-ins can try to get a spot but that tends to be a crap shoot especially for large parties. I was fortunate, going alone I only had to wait 30 minutes. The restaurant is up a long narrow flight of stairs. Entering there are about 10 seats in front of the grill where you can watch the staff cook the meat. The amount of effort the staff puts into the food. This is Sapporo's premium brand and it certainly competes with other premium lagers. 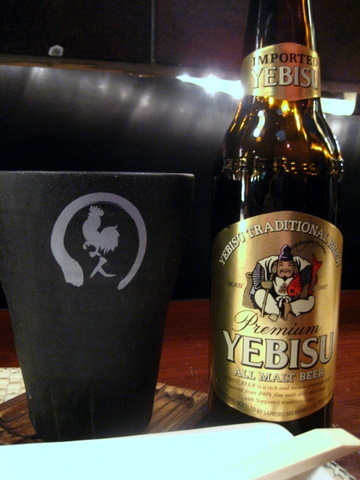 A beautiful golden color and nice fluffy head, some malt and floral notes on the nose, easy drinking and very refreshing with yakitori, or just about anything else. 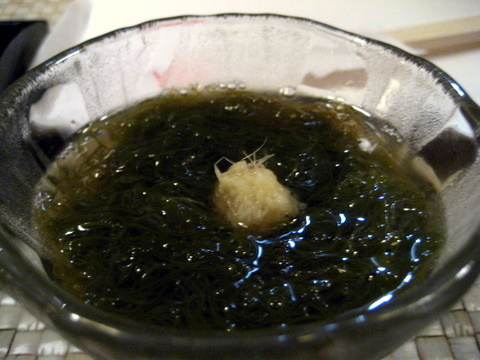 This was my first experience with this thin seaweed. It is was tough and stringy surrounded by this vinegary suspension with a bit of shredded ginger that gave quite a spicy kick. I think the vinegar was a bit strong but taken in the right balance this dish had a very complex flavor. This looked like 3 pieces of soft plastic on a stick. Texturally it was quite similar (it felt like chewing on a Bic pen). The bone had a slickness that made it a bit hard to chew but rewarded the diner with a satisfying crunch. 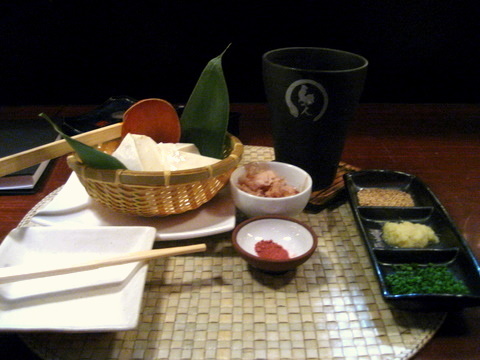 With no meat on the bone, it has very little natural flavor and the bit of Okinawan salt was insufficient for me. I have had a number of exquisite soft tofu experiences and I expected this to come nicely pre-seasoned. Sadly with the do it yourself style I couldn't ever get the flavor right. 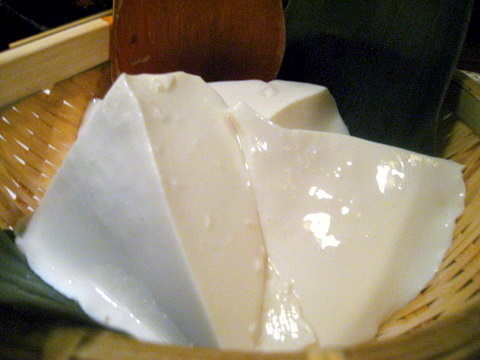 The tofu itself was quite delicate and had a mild flavor that took on the characteristics of whatever it was seasoned with. This sounds so delicious chicken and oyster all in one, actually these are the small bits on the back of the chicken widely regarded as the best part of the whole bird. I was expecting it to be a bit softer and fattier but it was a bit firmer than I expected yet still quite tender. I think the seasoning was a bit light and the chicken did well with a hint of toragashi. I am actually really confused how this is neck. There are no bones or joints instead the meat is one long chewy string of pure chicken goodness. 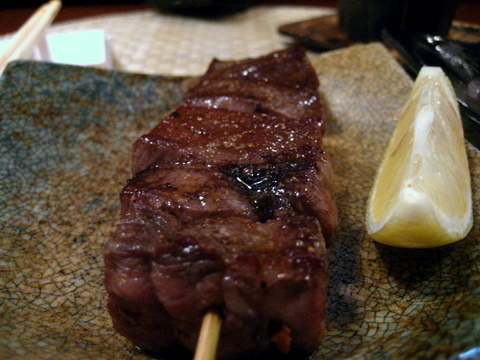 My favorite of all the skewers I had, the tail meat was what I was expecting with the Chicken Oyster. The meat was nicely seasoned, the outside was lightly crispy and the inside was some of the most tender chicken I have ever tasted. With all the fattiness of the pork, I expected this to be fairly soft but it so hard it was almost crunchy. The lemon by itself didn't quite work with the pork but blended nicely when eaten with the mustard. 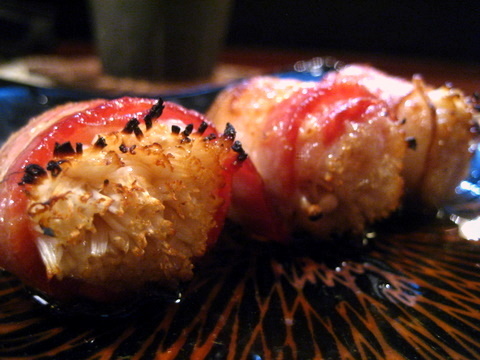 Anything wrapped in bacon must be good right? Sadly the bacon had this funky sulfurous tang I don't know if there was some impurity in the charcoal or what but it really marred this skewer. The mushrooms were nicely grilled with a rubbery crunch. The last few times I had Angus beef tongue it was so slick and fatty, much more than the beef. Ironically this was a very thick tough cut of beef tongue. Like the pork the gyutan had a funk to it that I just didn't care for. By far the weakest beef tongue I have ever had, tough and lean there wasn't a single redeeming feature about this dish. Watching the chef for a few minutes, and the care he puts into the food is evident, seasoning each skewer individually and adding more charcoal to maintain the optimal temperature. 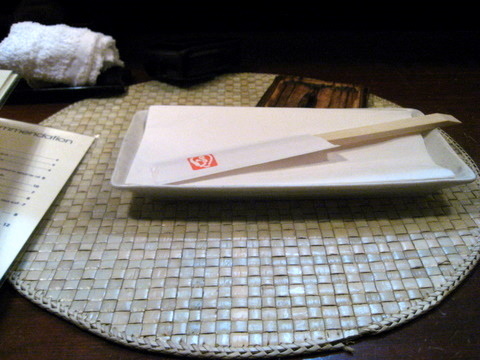 After struggling to get a seat, I had such high expectations of the restaurant, but I ended up leaving thinking there are yakitori restaurants in LA just as good, albeit with more limited menus. 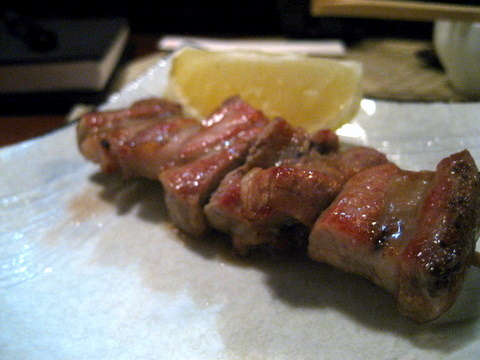 Totto serves its chicken rare, and the chicken meat skewers were quite nice, but I expected an unparalleled yakitori experience, and the off-putting flavor of pork and beef really detracted from the meal. An inauspicious start to a series of meals at New York, hopefully things pick up in the next few days. It's too bad Totto didn't live up to the hype. Judging by the pictures and parts used, at least some of those dishes should have been awe inspiring. Quick question on the chicken oyster. Was it chicken with oysters, or was it the piece of meat in the lower back of the bird? 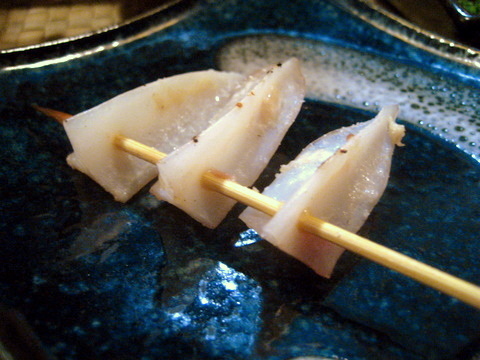 In my opinion, that little piece is the prize of the bird(there are two per bird), much like the cheeks of a whole fish. Regardless, I'm sure things can only go uphill from here. I think the preparation of the chicken was very strong. It was the non chicken meat dishes that were a bit off. 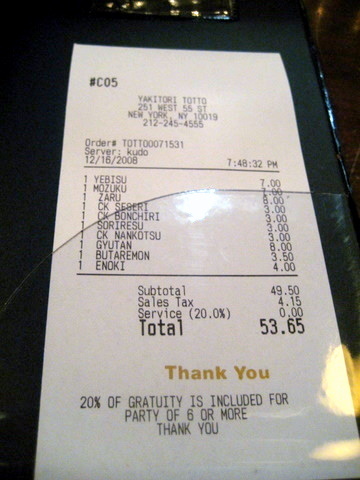 I only had chicken when I was there and really liked them - especially the seseri. I think it was my mistake getting anything other than chicken. I should have stuck with the more traditional selections like chicken thigh and wing. 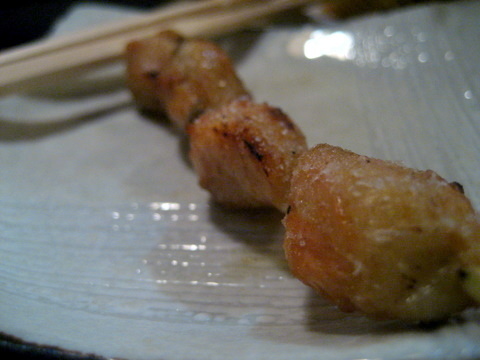 The chicken oysters were definitely distinctive and something I haven't had at any other yakitori place.